I want to point out an example of extreme violation of animal rights, human rights and low in general which occurred on 21st December in Dubrovnik - Croatia. At 02 00 in the morning, authorities followed by 50 police officers have taken 65 dogs from animal shelter Zarkovica which belongs to the Animal protection Society of Dubrovnik. Authorities are now threatening they are going to do the same with the remaining 300 dogs. Taken dogs were handed to private organizations and to animal shelters with high KILL rate all over Croatia which made them very hard to track. These dogs now have less than 60 days before being "euthanized" (all dogs were in good health condition). I would also like to mention that no-kill shelter Zarkovica is the only one in the whole county and was founded by sisters Anica and Sandra Sambrailo over 15 years ago. 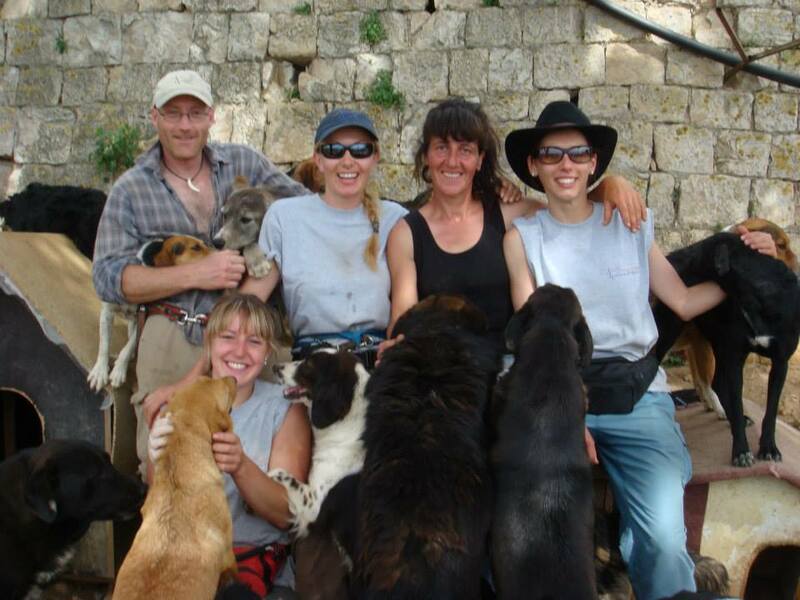 With the help of volunteers and private donations, shelter successfully gives home to animals from Dubrovnik and wider. Besides 350 dogs, the shelter takes care of about 200 cats and wounded birds. The shelter has support from Dubrovnik citizens as well as from veterans organization – Sandra herself is civil war veteran. In 2015 City of Dubrovnik honored Sandra with the title Volunteer of the Year for unselfishness and devotion. Croatian Ministry of Agriculture has made a decision/declaration in 2009 which binds the Municipality of Dubrovnik to make new animal shelter. Authorities of Dubrovnik did not respect this declaration even if there was budget for this purpose. As there was no new animal shelter made as it was granted, hardworking volunteers continued to take care of the animals in shelter made with their bare hands before – Zarkovica. On 21st December authorities conducted taking the dogs with many irregularities – in very violent, unprofessional and inhumane way. Dogs were taken without the warrant from the Ministry and in absence of veterinary inspection. They were taken without their records. The fence was broken which caused that other dogs started running away from the shelter bringing themselves and (as dogs were completely horrified as they were awakened in the 0200) people in danger. They were transported in vehicles in inappropriate way and many other violations. In order to cover irregularities caused by lack of documentation, authorities brought the dogs from one side of Croatia to another by sea instead by land as with this scenario they did not need to pass through Bosnian border. During the action of taking the dogs, Sandra Sambrailo was detained. Authorities were obviously taking advantage of the power they have relying on the lows that suit them and ignoring all others. Croatian Medias were precisely and objectively reporting about all irregularities. Animal protection Society of Dubrovnik is now asking for URGENT return of taken dogs. At the same time they are asking for immediate start of new shelter construction. The problem of stray/abandoned animals is not to be solved by simply sending them to “KILL” shelters of other cities in Croatia. Current situation in Croatia is that Ministry that has jurisdiction is always more leaned to private interests than to the animal’s welfare and it does not insists on low’s enforcement. (Private shelters that took over the dogs has been paid certain amount for each dog and euthanasia after 60 days is also financed by Ministry.) This results that there are almost no animal rights and causes harm to creatures that supposed to be protected. On December 30th, 2015 APS Dubrovnik is going to organize demonstrations in Zagreb in the front of Ministry for Agriculture. Demonstrations have support of other animal welfare groups, organizations and people that care about animals and their rights. Dubrovnik is one of the most famous tourist‘s destinations and took the title of the most romantic city of the world. Also, it is under the protection of UNESCO and has major incomes. This is why it needs to set an example how to treat animals in humane way. Animal welfare is the mirror of the civilization and at the same time is legal regulation of EU which needs to be followed not only by Dubrovnik, but by all other municipalities of Croatia. I am kindly asking for your help regarding the matter and counting that you will do everything in your power to make us reach our goal and get these wonderful dogs back home. Once again, we are hoping that you will support our fight for quality, humane and fair treatment of animals.